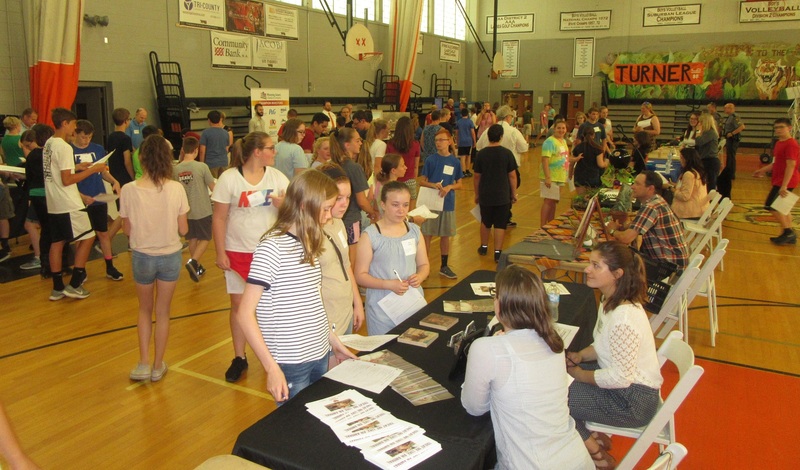 Tunkhannock seventh graders (top) are on the move as the first group of participants in Tunkhannock’s first Career Fair geared toward discovering pathways to sustainable employment after graduation. 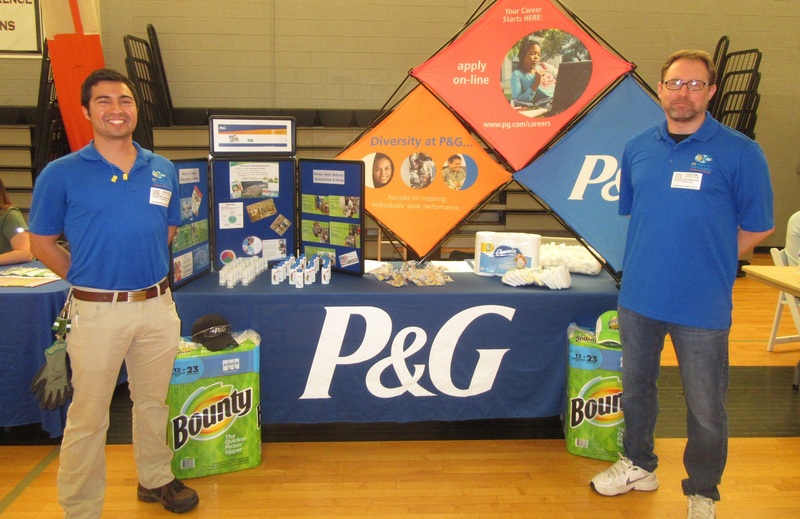 Procter & Gamble was represented by converting line trainer Ron Marcovitz (above, right) and line leader Michael Gomez, who is also a Leadership Wyoming team member. 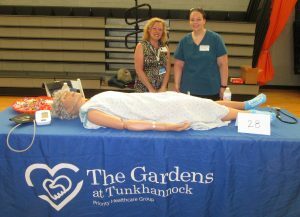 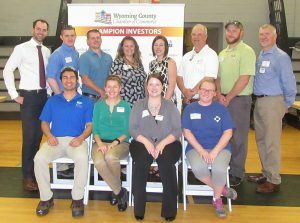 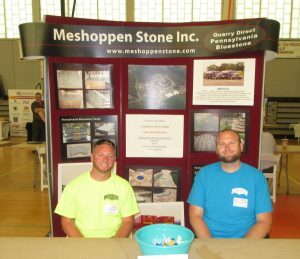 Approximately 450 students in the Tunkhannock Area School District were encouraged to peer into their futures on May 30 as business owners and representatives in a variety of fields told the youths of the opportunities that will be available to them upon graduation and suggested the best courses of studies to get there. The inaugural Career Fair was a class project for the 2018 Leadership Wyoming team and represented nearly 10 months of research and preparation. 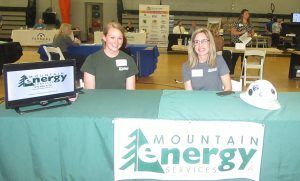 Students from seventh- to ninth-grade were polled to gauge their levels of interest in general career areas, after which business representatives were solicited to match. Categories included artistic, conventional, enterprising, investigative, realistic, and social. 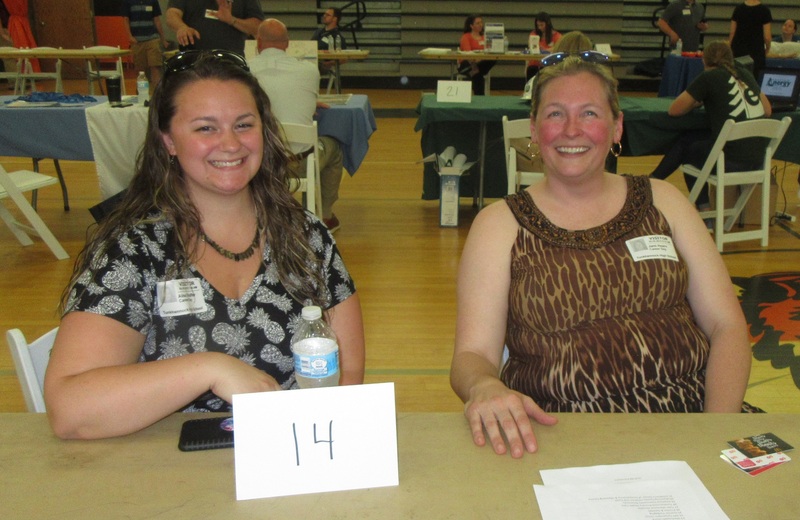 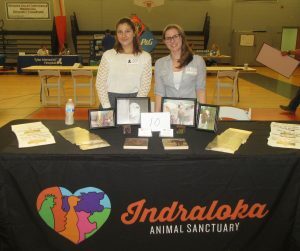 Tunkhannock high school seniors volunteered to guide the youths to their assigned tables. 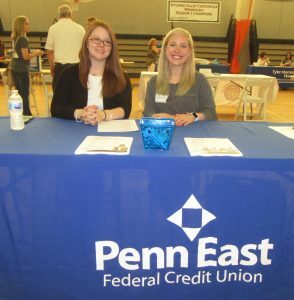 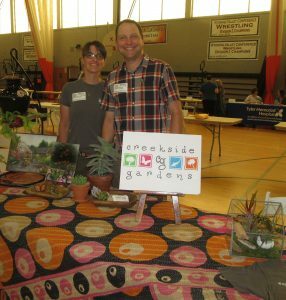 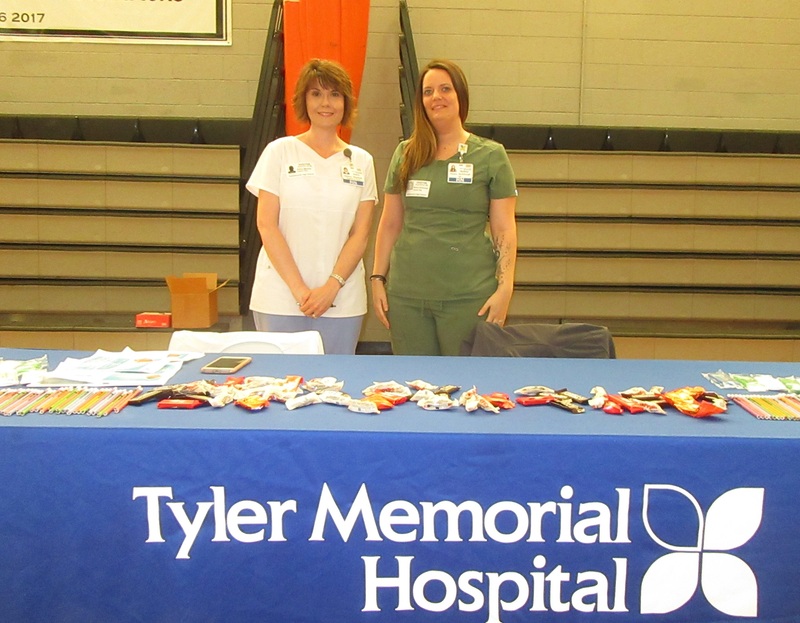 Unlike a job fair, the event on May 30 was geared toward helping students begin to lay the groundwork for career-oriented studies. At the request of district superintendent Heather McPherson, the event was centered on the wants and needs of the students, rather than the employers. High school director of career and technology education Greg Ellsworth and school-to-career John Shaffer provided a tour of the high school to Leadership Wyoming team members and provided an understanding of programs already in place to prepare students for college, internships or immediate employment upon graduation. 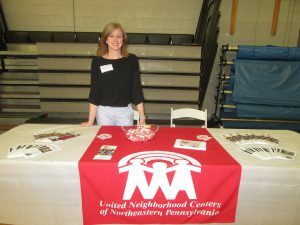 The district is certified by the state to offer a greater variety of classes if enough students request them, and the Career Fair was designed to help bridge that gap. 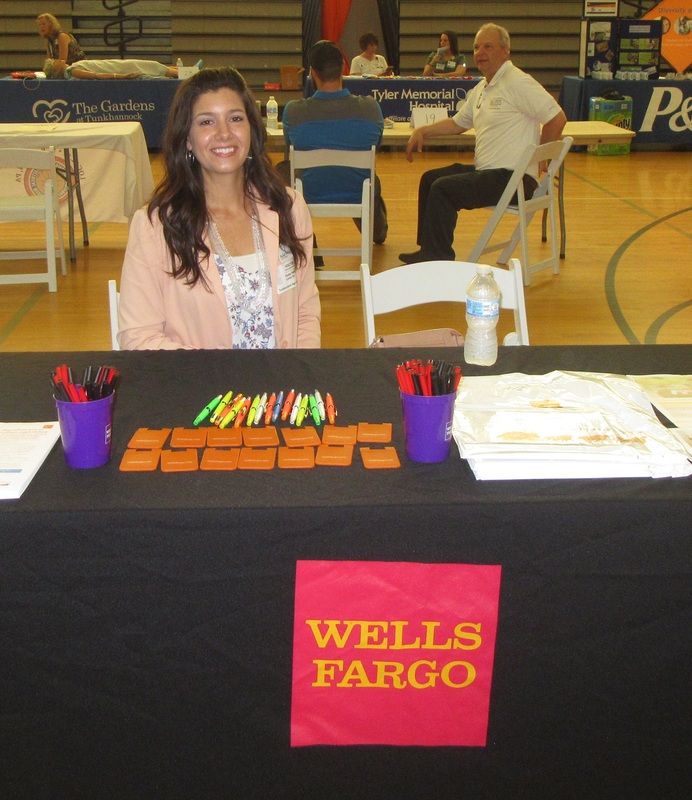 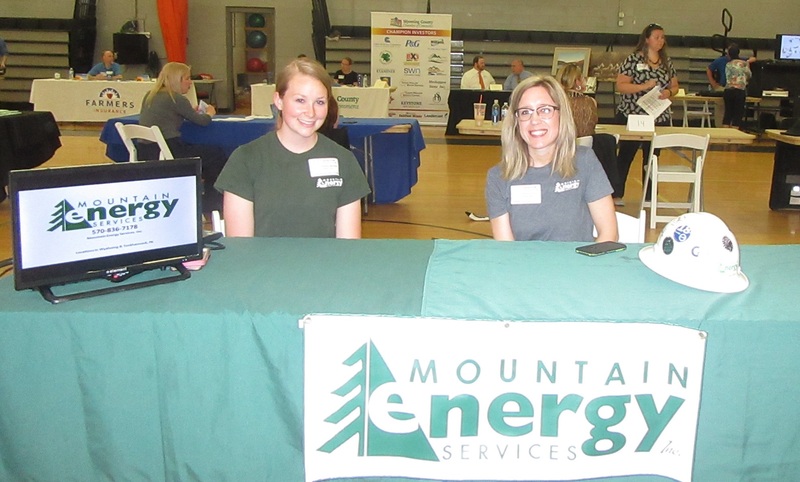 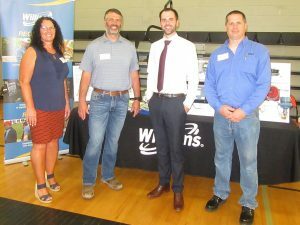 Companies participating in the career fair ranged from industry, agriculture, construction and manufacturing to human services, finance, media and public safety. 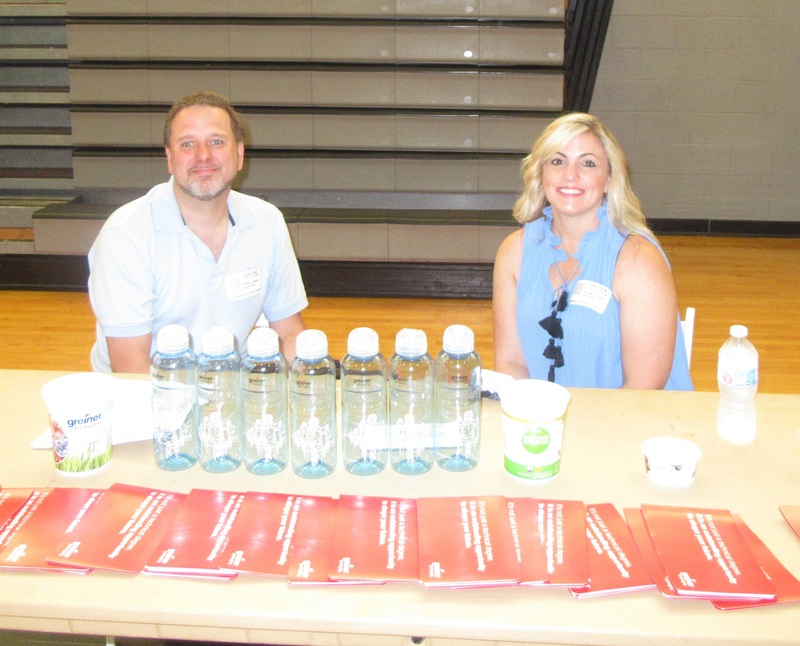 Each grade had about an hour in the high school gym, where students had time to visit as many as four businesses based primarily on the preferences they had expressed in the surveys. 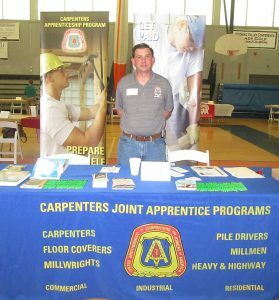 They carried worksheets with them on which they recorded information such as what degree or certification is required for a given job, what skills they would need, and what surprised them about each profession. 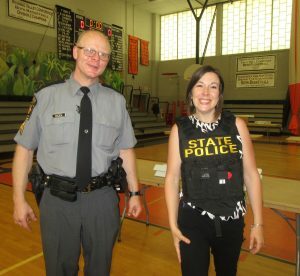 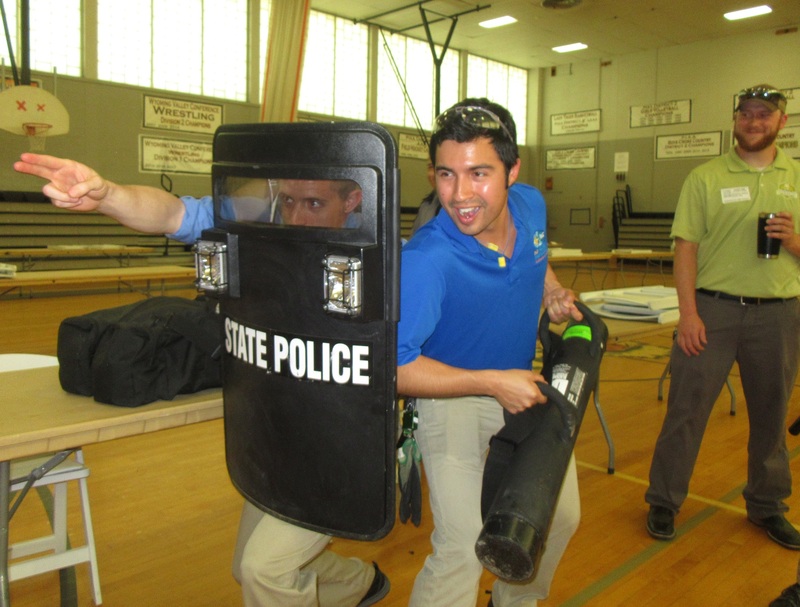 One example in the realistic category was the Pennsylvania State Police, representatives of which afforded students and Leadership members an opportunity to don riot gear and handle other tools of their trade. 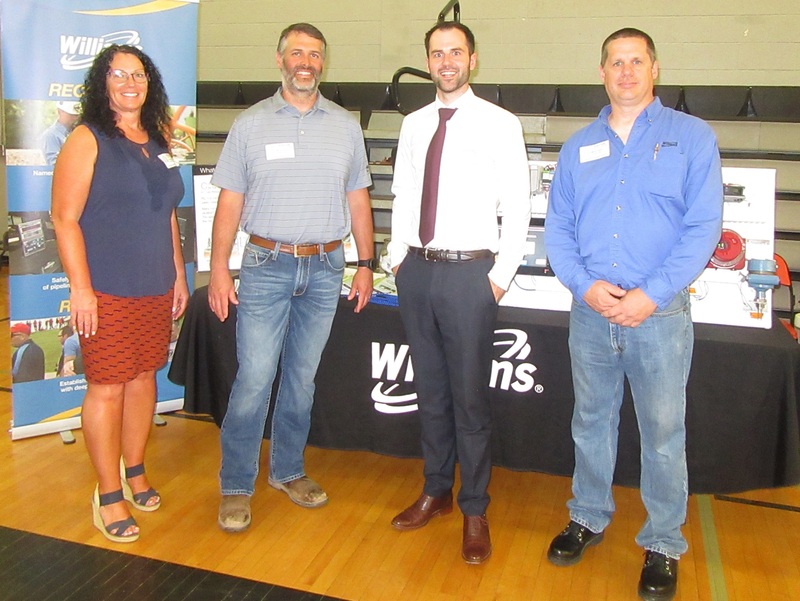 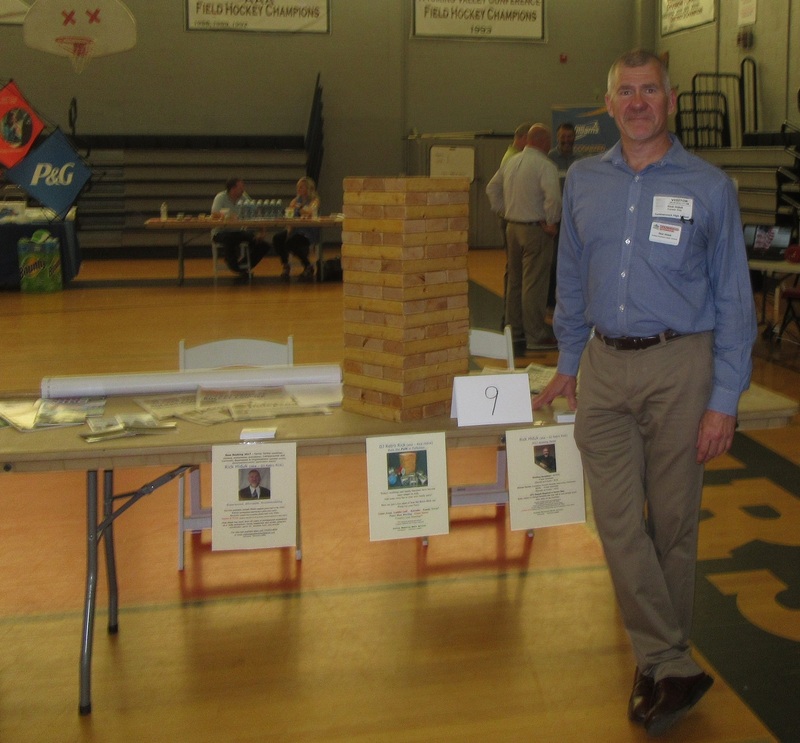 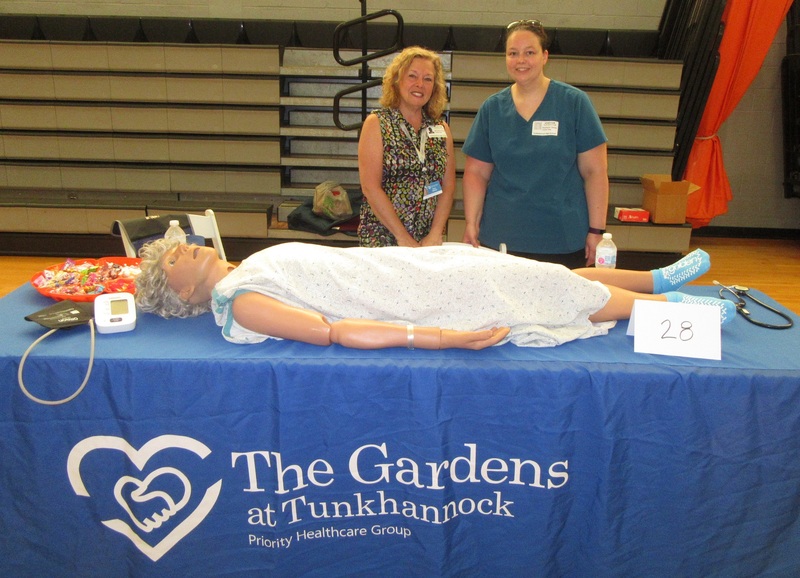 The goal of the Leadership Wyoming team, some members of which participated as vendors, was to provide the Tunkhannock Area School District with a template that can be used in coming years. 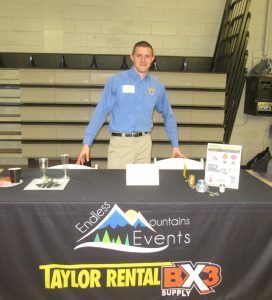 Ellsworth suggested that he’d like to do a career fair every two years to engage the students in that age group at least once. 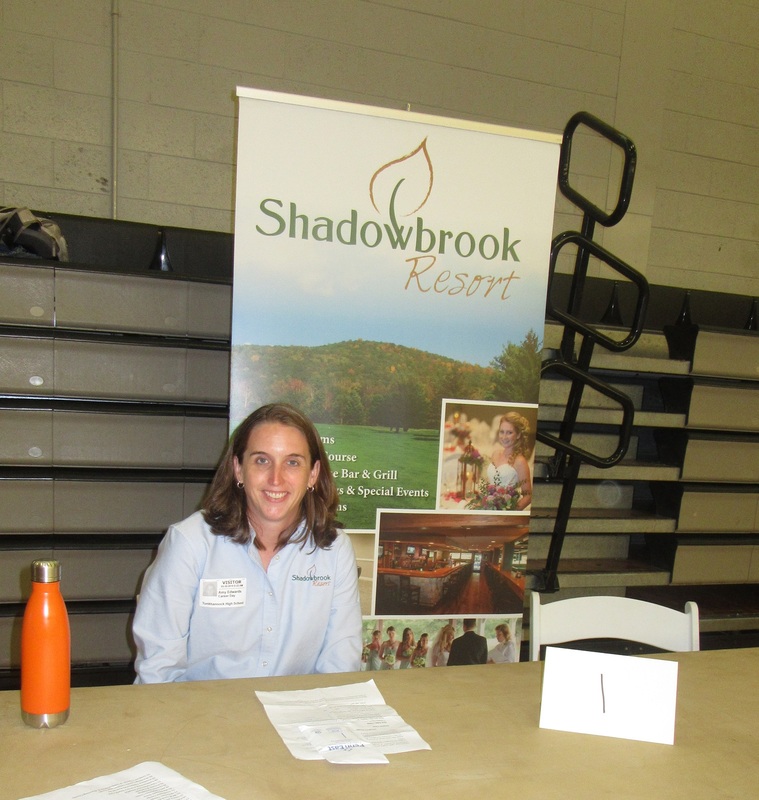 Vendors remarked that the career fair ran very smoothly, especially for a first-time event. They appreciated the unique format that gave them 10 minutes at a time with smaller groups of students who were required to gather specific, quantitative information. 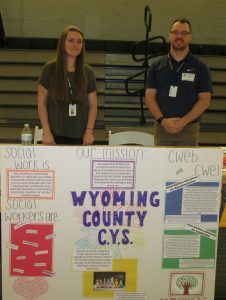 Those surveys will be reviewed by Leadership Wyoming team members and the school district to gauge the effectiveness of the event and to suggest areas for potential improvements. 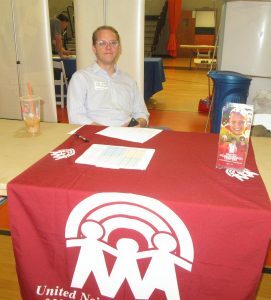 In addition to DeLeo, this year’s class members include Brad Georgetti, Michael Gomez, Rick Hiduk, Justin Kostelansky, Kelly Langan, Phillip McKeon, Bonnie Nemergut, Diana Petlock, Alisa Shaffer, Matt Swartwood, and Ben Zeidner. 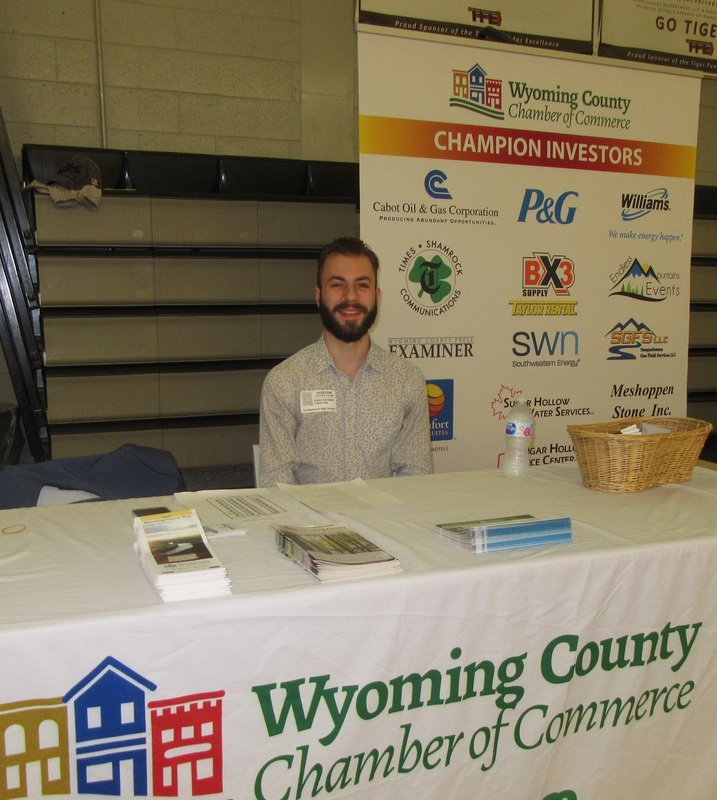 They will graduate at a Chamber luncheon on June 13, and applications are being taken for next year’s program, which will begin in August. 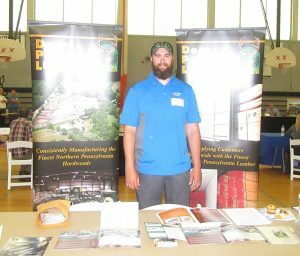 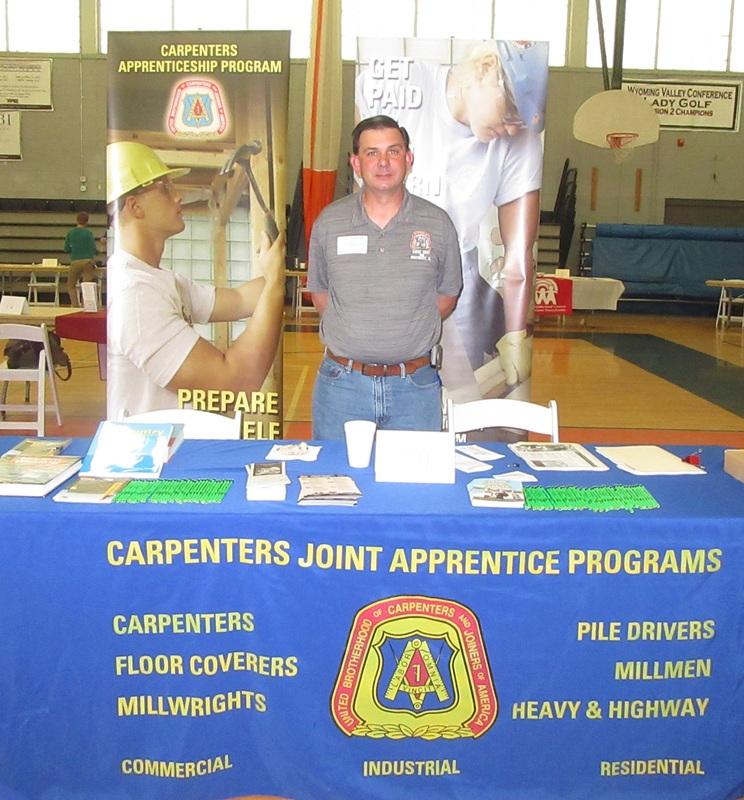 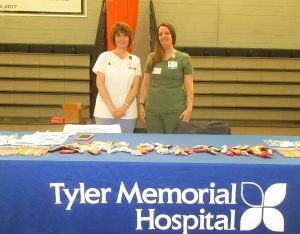 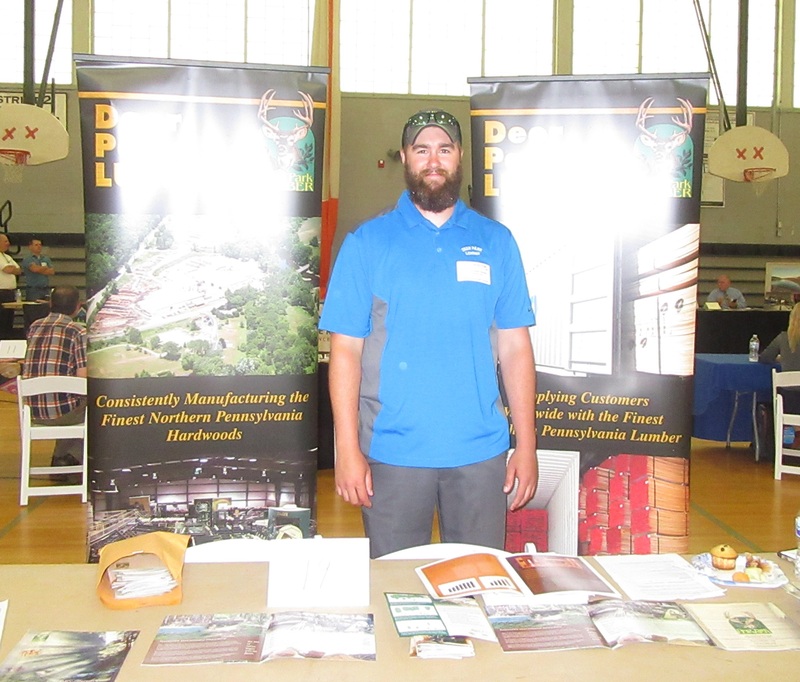 Additional support for the Career Fair was provided by Northern Tier Workforce Development. For more information, visit www.wyccc.com. 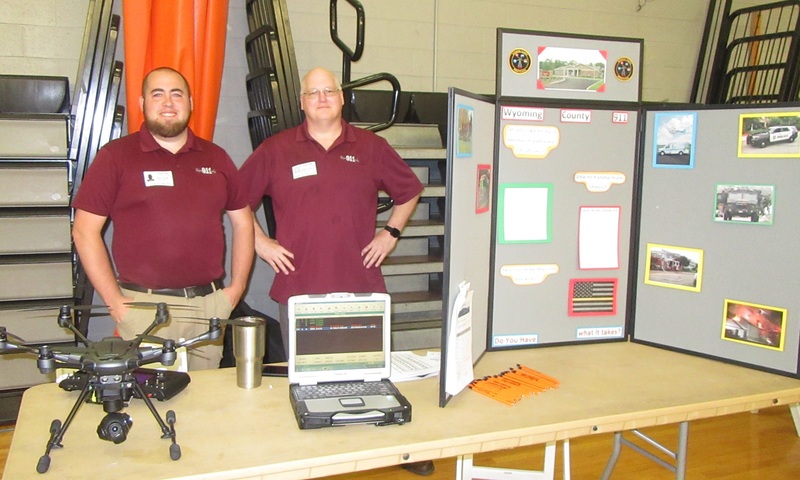 Tunkhannock High School director of career technology education director Greg Ellsworth (far left) addresses eighth-grade participants of the Career Fair before they fan out across the gym to meet business owners. 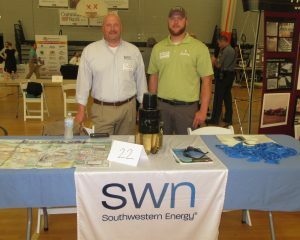 Leadership Wyoming Class of 2018 member and SWN foreman Ben Zeidner (right) had an opportunity to work with SWN community relations manager Mike Narcavage to explain to students what courses would help them get into the natural gas industry more quickly. During the course of his participation in the Leadership Wyoming program, Phillip McKeon (above) rose through the ranks at Taylor Rental and Endless Mountain Events to become the company’s vice president and represent the company at the May 30 career fair. Leadership Wyoming team members have some fun with the Tunkhannock Pennsylvania State Police after the event.